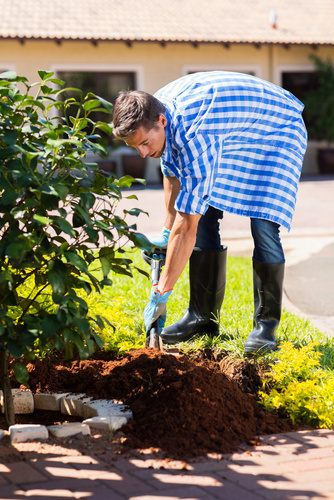 Landscaping is a wonderful addition to any home, but one of the biggest problems with any type of shrubbery, tree, or flowers are the bugs and pests that come along with them. Though there are a lot of different ways to make the bugs and pests disappear from your garden and backyard, one of the best ways to protect your landscape from overwintering pests is by using dormant oil spray to protect your trees and other plants during their dormant season. Now, you may be wondering what dormant oil spray is. Dormant oil spray is biological oil made from a few different things, but generally commercial oil sprays are made from refined petroleum oil. Generally, these are highly refined oils and will spread uniformly on any tree or plant it is sprayed on. Dormant oil sprays from biological oils essentially suffocate dormant pests and bugs living within the tree or plant by wicking out all moisture. There are definitely some advantages to using it. Mites, scales, and their eggs are affected by the oil; pests won’t resist the substance, and the oil is not harmful to insects that are beneficial to trees, plants, and shrubs. Dormant oil sprays are IPM – Integrated Pest Management products that are not harmful to beneficial insects. As an added advantage, most dormant oil sprays are safe for other animals. The oil works by penetrating through the surface of a pestilent insect’s hard outer shell. This suffocates the insect, because it doesn’t allow oxygen to get through. By using a dormant oil spray to battle bugs on trees and shrubs in the winter, homeowners can smother pest eggs and larvae of things like aphids. The key is to ensure adequate coverage with a formulation that is especially created for ornamental plant. A winter spray will mean a pest-free summer and spring for ornamentals and fruit trees. For best results, the spray should be applied when temperatures have been above freezing for at least 24 hours or when the temperatures hangs steadily at 40 degrees all day and all night. Dormant oil sprays can be used at different times of the year, including March through April. However, this type of oil can be extremely damaging or even deadly to any flowers that may be sprayed by chance. Specifically, a dormant oil spray can kill marigolds, snapdragons and other flowers, so it is important to wait until those florals have finished blooming and growing for the season. Though there are lots of dormant oils, there are also summer oils that will control soft-bodied insects. Summer oils are usually used when foliage is present and are also usefully to keep pests from attacking your leaves. Overall, these oil sprays are great to keep your garden looking beautiful and pest free so that you can enjoy your backyard and the company of your friends and family. 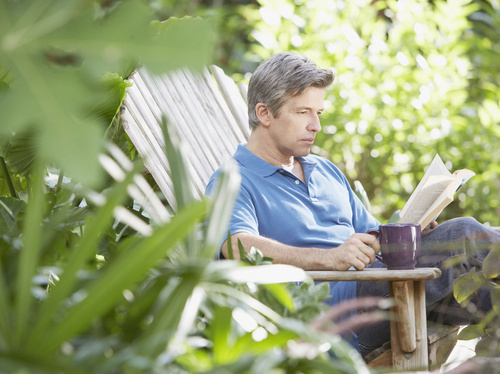 Regular tree and shrub care along with lawncare throughout all four seasons will ensure that your backyard is a safe and beautiful place to relax and enjoy for years to come.